Folding black leather 6 piece manicure set in hard case. 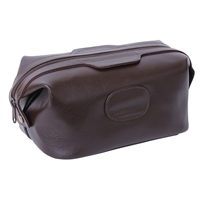 A superb hardwearing gents fabric toiletry wash bag / sponge bag. Traditional square shape with fishing design. Fully lined. 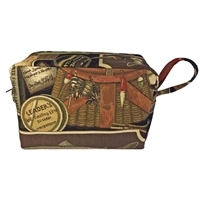 A superb hardwearing gents fabric toiletry wash bag / sponge bag. 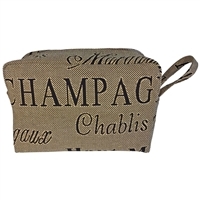 Traditional square shape with a wine and Champagne St Emillion design. Fully lined by Belly Moden. A superb hardwearing gents fabric toiletry wash bag / sponge bag. Traditional square shape with a Fleur de Lis design. Fully lined by Belly Moden. A superb hardwearing gents fabric toiletry wash bag / sponge bag. Traditional square shape with a music design. Fully lined by Belly Moden. 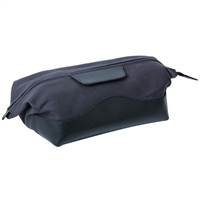 A super black leather toiletry sponge wash bag with zip closure. 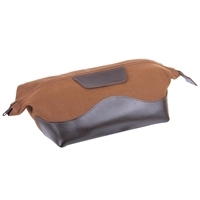 A super dark brown gent's leather toiletry sponge wash bag with zip closure.